Description This game was created by Matt Rix based on a crazy suggestion on Reddit. 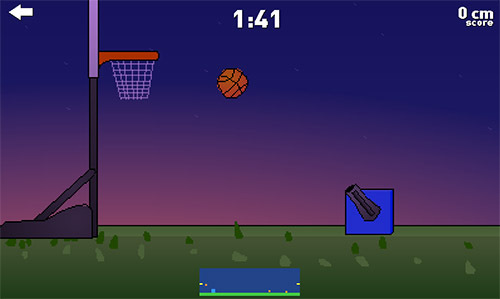 See if you can do the trick shots: regular shot, self dunk, bounce shot, jump shot, and jumping bounce shot. Controls Hold your mouse button to charge the cannon. That's it. Oh, and press [R] to start over.